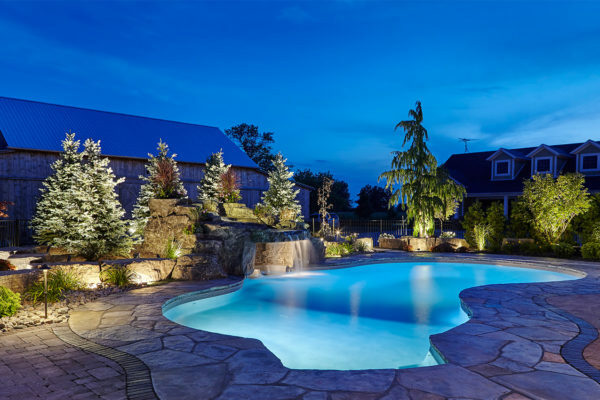 Outdoor Structures - Bellaire Landscape Inc.
Bellaire Landscape offers a variety of outdoor landscape structures to complement your surroundings for both aesthetics and functionality. 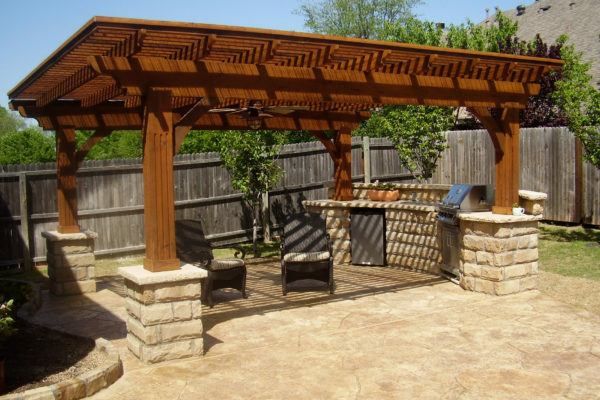 Outdoor structures can provide shade, elegance and privacy to your front or back yard and they extend your living space to the outdoors. Pergolas and Gazebos are decorative, breathtakingly beautiful outdoor shade structures that can be situated on a patio, attached to part of your house, at the edge of a pool to provide shade from the summer heat, or just about anywhere to create a focal point and a place for relaxation. They can be constructed in a variety of styles and manufactured out of numerous materials like wood, stone, or concrete. Imagine yourself relaxing on your favourite outdoor patio furniture conversing with friends beneath your pergola structure that is keeping you shaded from the hot sun. Curtains can be added to the structure for additional privacy, outdoor lights can be strewn through the ceiling area for the perfect ambiance, or a stone fireplace can be built at one end to create the most romantic of settings. 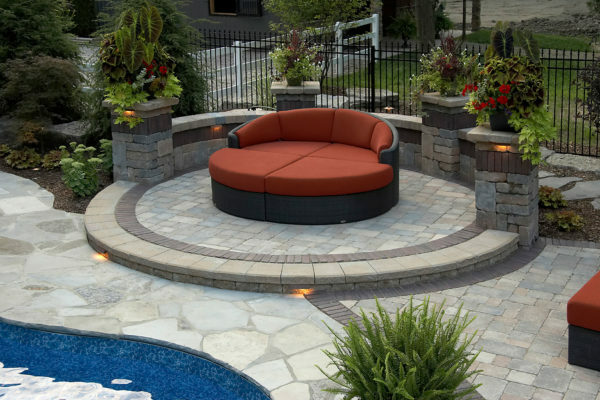 Bellaire Landscape will custom design and build an outdoor structure to fit all your landscaping needs. Bellaire Landscape also designs and constructs numerous varieties of custom decks and fences. 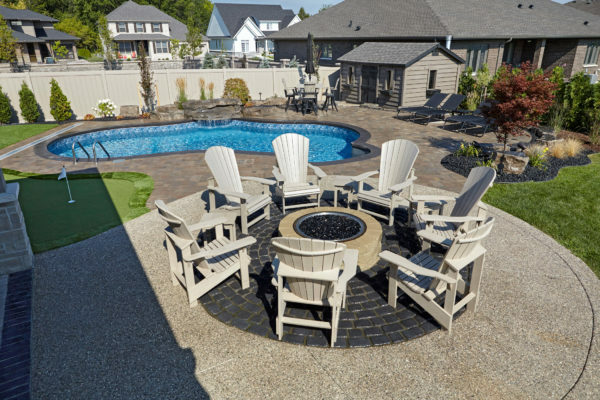 Whether you want a simple fence or deck layout or one that is more complex, perhaps a multi-tiered deck situated off your house and surrounding your pool, Bellaire Landscape will design the perfect outdoor retreat for your space. We also design and construct many different styles of sheds for multiple purposes. We have sheds for all your storage needs or perhaps you want a custom designed change area for your newly landscaped swimming pool.